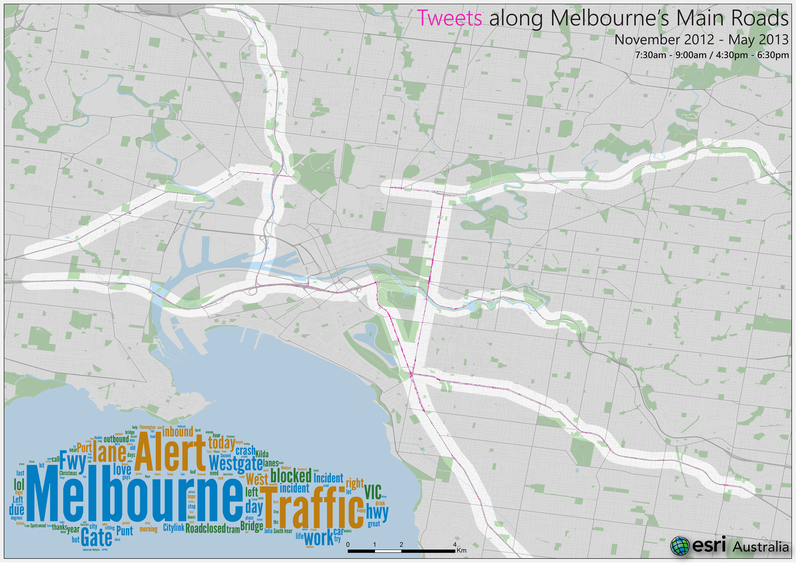 Mapping Tweets – Just a bit of Fun? 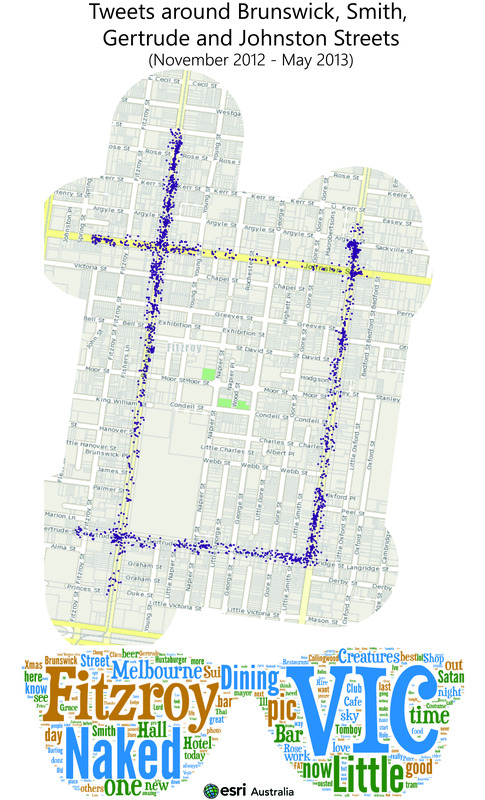 The Twitter Streaming API allows you to collect geolocated tweets and plot them on a map. With the new GeoEvent Processor extension for ArcGIS Server, it is now so easy to connect to this API and start harvesting this data. 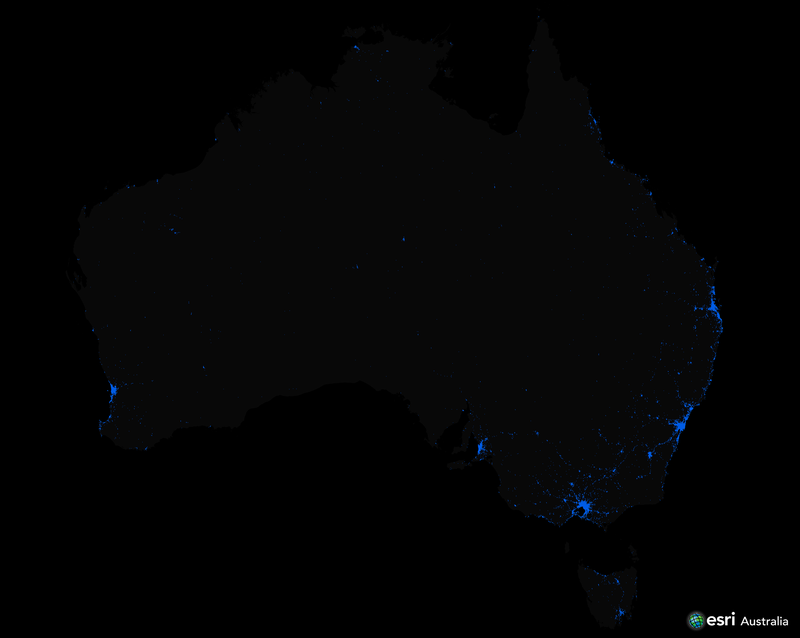 Esri Australia has already been making use of this for mapping out real-time coverage of Twitter trends during the recent election and mapping out the languages of Australia (plus mapping out profanity). But a majority of the audience of this blog are likely GIS Professionals. Is there really any merit or use in mapping social media streams such as Tweets? When Natural Hazards occur, some people turn to Twitter for getting updates on whats happening. Esri have a template application that has been used for volcanoes, cyclones, flooding and bushfires. Can we predict riots by looking at Twitter? Can we determine the mood of a country by looking at Twitter? Looking at Flickr, we can map out where we think locals and tourist photo hotspots are. Or maybe people just want a map to hang on their wall. Click the maps to open in a new tab at higher resolution (some might take awhile to load up). Need to turn this into a web-map, its very interesting seeing the types of tweets people say as they are leaving/arriving an airport. This entry was posted in General and tagged API, GeoEvent Processor, Social Media, Twitter on October 17, 2013 by Simon J. The fusion of Social Media channels such as Twitter, Facebook and YouTube with web maps opens up some exciting possibilities. The session I presented at Ozri earlier today on Social Media & Maps explored some of the opportunities this brings, and the challenges that come with them. After pausing to consider what we actually mean by Social Media, and what it is in terms of a source of data, we looked at some real-world examples where Tweets, YouTube videos and images from Flickr have been incorporated in to public facing web mapping applications. The apps in this category that have had the highest visibility have tended to be focused on response to emergencies or disasters, and for good reason. However the scope for this blend of unstructured and structured data is wider than that. This entry was posted in General and tagged ArcGIS Online, Flickr, ozri, Social Media, Twitter, YouTube on October 14, 2011 by Shannon S.